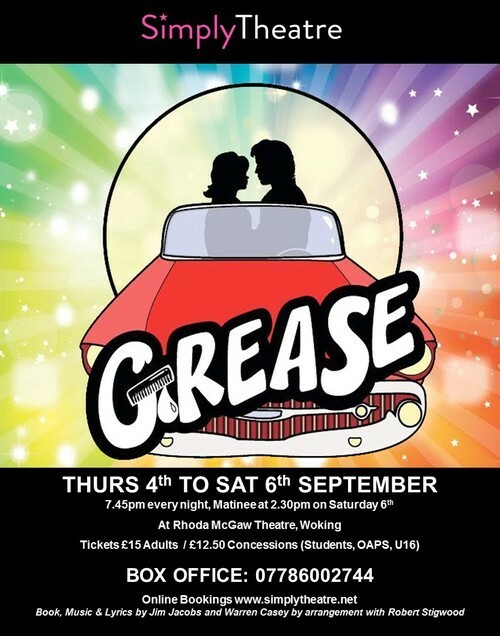 So, another year, another production and this time it’s GREASE!! The film which made stars of Olivia Newton-John and John Travolta has finally been released for amateur performance, so Simply Theatre jumped at the chance to have a go at being T-Birds and Pink Ladies. We’re a month into rehearsals now and all is going well - the cast are fab, the Directors are excited and our MD is whipping all our vocals into shape. Our biggest coup so far has been getting hold of a “Greased Lightning” for free!!! As you know, when doing an amdram show you want to be as thrifty as you can in order to make more profit. Our wonderful set/prop/costume finder extraordinaire, Alison Hough, happened to be on Set Exchange at the right time and saw that The Central School of Speech and Drama, were getting rid of their Greased Lightning and wanted it to go to a good home! Apart from the cost of hiring the van and heading up to London to get it, we now own a fabulous car which i’m sure will steal the show. As in the past, throughout rehearsals you’ll get to see the usual cast interviews and a few snippets of what we’re up to! In the meantime, if you’d like to book tickets then see the flyer below for more info!